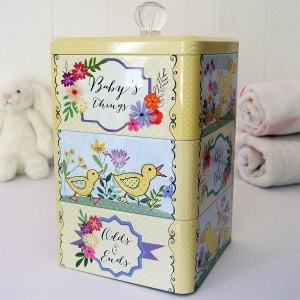 Our selection of beautiful baby keepsake gifts from British brand Peel and Sardine. 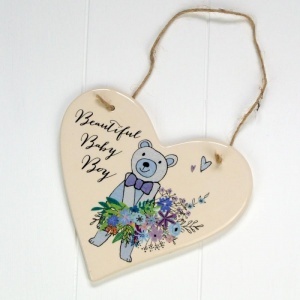 Choose from ceramic heart door hangers for boys or girls, or the unisex baby bits and bobs tins to store all your baby's little-treasured items. Contemporary baby gifts that will look great in any newborns nursery. Order your's today!